Thisgoes under Comfort Food label, for sure. It is so substantial that I serve it withbuttered rye bread as a supper. 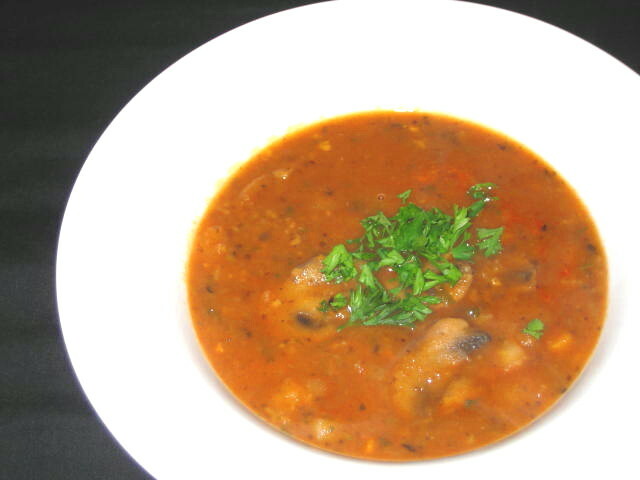 There is a nice mix of textures in this versionof mushroom soup. 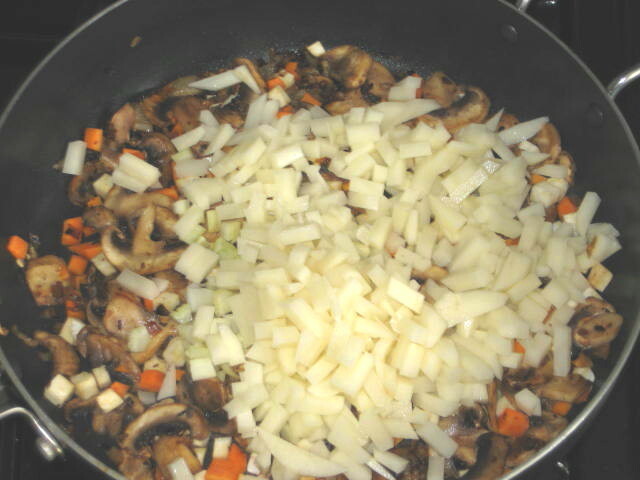 Yes,it does take some time to prepare because of all that chopping but it can be alot faster if you have a small food processor or my favorite, the mini chopper.Just never put the machine on run or you will end up with a paste. Short pulsesare all one needs. 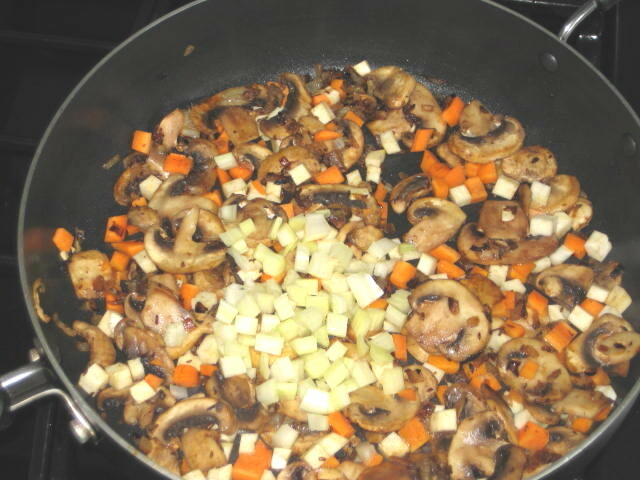 Whenit comes to ingredients you can use pretty much any root vegetable that youhave in your fridge. Here is what I have used and it tasted great. 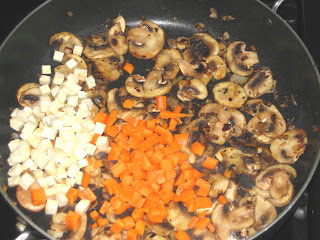 Ina heavy bottom pan or Dutch oven heat the oil and butter. 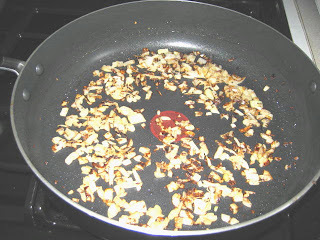 Whenthe foam from butter subsides add shallots and sauté till light gold, about 10minutes. 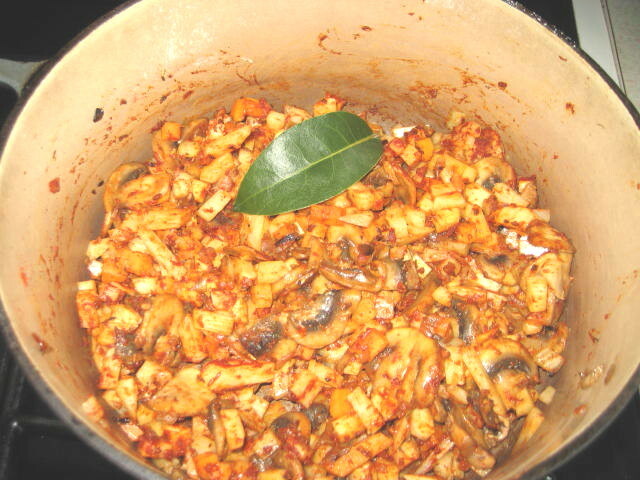 Addmushrooms and caraway seeds and cook on medium high heat until mushrooms arelightly caramelised. Addcarrots, celeriac and celery and sauté until vegetables are soft. Offthe heat, sprinkle paprika over mushrooms and shallots and stir till mushroomsare coated with paprika. Addpotatoes and mix with rest of the vegetables. 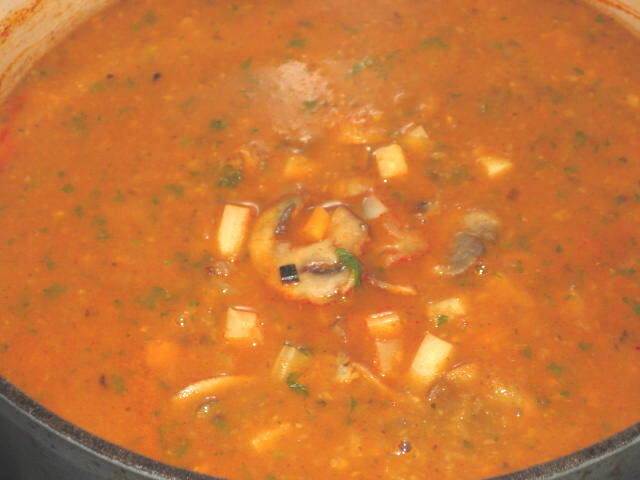 Returnto heat and sprinkle flour on top of potatoes, mushrooms and vegetables and keepstirring until flour is cooked and reached paste consistency. The flour willform lumps with vegetables. 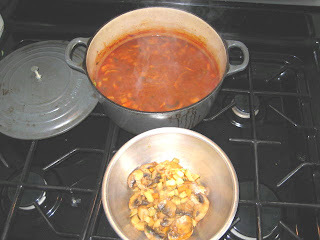 Pourin hot stock and mix until al flour lumps are mixed in and soup feels smooth. 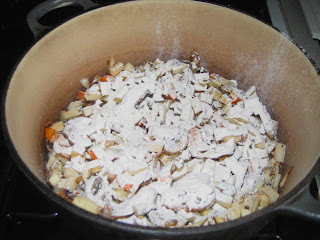 Lowerthe heat to medium low, bring to simmer and cook for 20 minutes scraping thebottom of pot with wood or bamboo spatula (my choice) to prevent flour fromburning. Removeabout 1 cup of mushrooms and vegetables with slotted spoon and set aside. Withan immersion blender finely chop or liquefy (your call) rest of the solids. 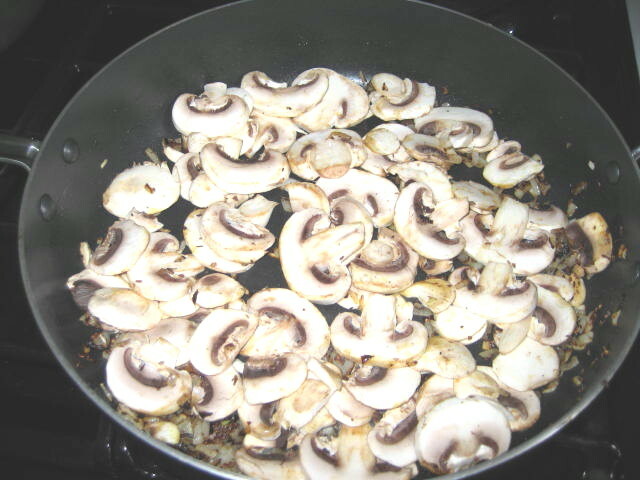 Putback reserved mushrooms and veggies and bring back to simmer. 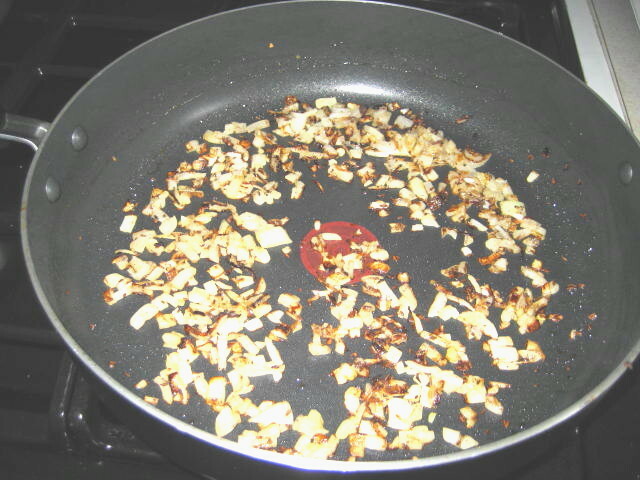 Addmarjoram and taste for seasoning and adjust if necessary. Servein a bowls and garnish with parsley.